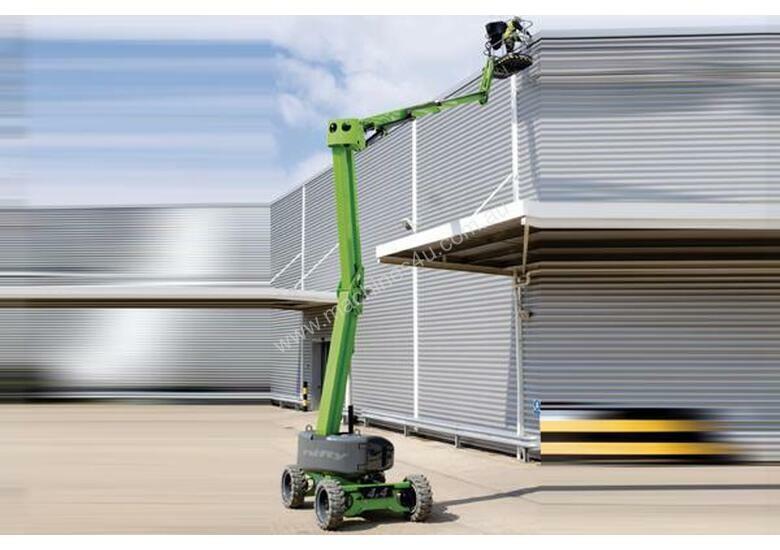 The Height Rider 17 (HR17) Hybrid Four-Wheel-Drive (4x4) is one of a new generation of environmentally conscious work platforms from Niftylift. Combining advanced power-source technology with efficient 4x4, it delivers outstanding performance from a compact and low-weight design. On Diesel, the HR17’s revolutionary Hybrid system can automatically utilise its electric motor to boost power whenever needed. This allows the HR17 Hybrid 4x4 to operate with a smaller engine, reducing fuel consumption and its exhaust purification system then further reduces CO/NOx, particulates, and noise emissions. The HR17 Hybrid 4x4 can also operate on battery alone, making it ideal for indoor, quiet or clean applications. Diesel Re-Gen recharges the batteries without a mains power source and a fast charge is achieved whenever the machine is idle and the engine is left running.